This is our only salami made with added Scottish pork. 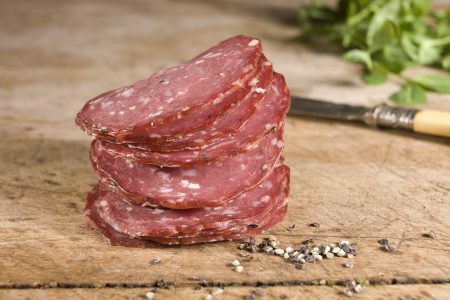 It is mildly spiced with cracked black peppercorns, a more robust salami. Lovely on sandwiches, great on platters or just to eat straight from the pack.